The excitement of Tnalak Festival 2016 starts this month of May as the provincial government of South Cotabato is giving away exciting prizes to netizens that will be sharing their stories and experiences online about the province's biggest and most colorful annual celebration. 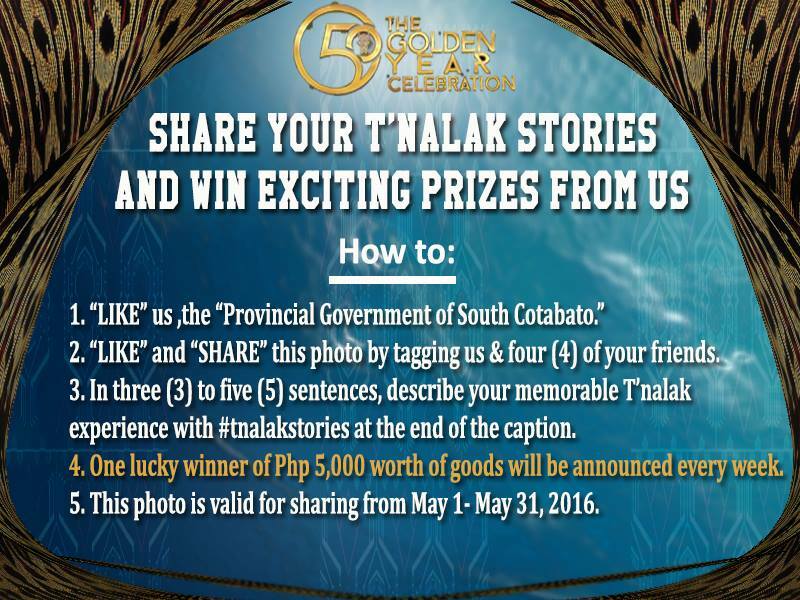 The Provincial Government of South Cotabato is giving away up to P5,000 worth of prizes every week for the whole month of May for lucky winners. See the poster below for the mechanics. Tnalak Festival 2016 is happening on July 10-18. It is also a celebration of South Cotabato's 50th founding anniversary.